Deciding to file bankruptcy is often the most challenging part of the process, after spending time trying to pay back debt, get your finances in order, and take control of your mortgage or student loans; when you and your bankruptcy lawyer have decided that the best option is to file bankruptcy, it’s time to decide what chapter to file under. Knowing the details of each option is the best way of giving you a chance for a positive financial future. Read through details on each chapter you can file under, and consult with the bankruptcy lawyers at TATE BYWATER Law in Fairfax County. Straight bankruptcy, or liquidation bankruptcy, is when all of your assets are liquidated or sold in order to pay off debts. An advantage of this option is that there are no future obligations toward the creditor. However, if you want to keep an item, such as a house or car, payments must continue to be made. If payments are unable to be made, those items must be given up. There are certain things to keep in mind when filing Chapter 7 bankruptcy. While this is considered being discharged from obligations to pay debt, there are debts that this does not eliminate. Most taxes, most student loans, child support, or alimony, which are considered domestic support obligations, are not considered debt that can be discharged. Taxes and student loans may be discharged depending on the age of the loan and certain other factors that can be determined by consulting with a bankruptcy lawyer. An advantage to filing under Chapter 7 is that it is possible to grow your credit score reasonably faster. Chapter 11 is generally used by large businesses to reorganize their debts, and this will allow them to keep operating the business. 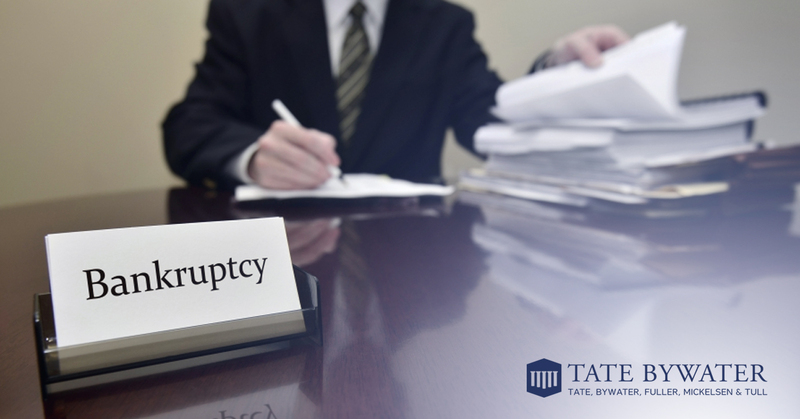 If a Chapter 7 bankruptcy is filed, the business must stop operating. Corporations, partnerships or LLCs are not allowed to file under Chapter 13, and if they wish to continue their operations, chapter 11 may be the only option. Chapter 12 is used by farmers or fisherman to reorganize debts and continue their operations. This chapter allows repayments to made seasonally when there is an income. The repayment time period can be longer than the five-year limit under Chapter 13. When debtors make a certain amount of money, they may not qualify for filing under Chapter 7. Chapter 13 bankruptcy is considered a reorganization bankruptcy, in which debt is paid back through a payment plan. The amount that you must pay back is determined by your income, expenses, and the type of debt. The repayment plan is typically from three to five years and can include all or a part of the debt. The court will approve a plan where a certain amount of the debt is repaid over a given amount of time. If a plan allows you to pay back 20 percent of unsecured debt, such as credit cards or student loans, any debt where there is not a lien holder, the remaining 80 percent plus accrued interest, will be discharged after the plan is completed. When filing under Chapter 13, there are certain debts that must be paid in full, such as tax obligations, child support, or alimony. The plan must also include payments on secured debt, such as car loans or mortgages, as well as any amount that has fallen behind. The biggest advantage of filing under Chapter 13 bankruptcy is that you can keep your assets, but you need to prove that you can still afford to pay the regular monthly payments. When it comes time to file bankruptcy, consult with your bankruptcy lawyer to determine your best option. Be sure to fully understand repayment plans, advantages, and disadvantages to each option and how your finances and a credit score are affected by each. Bankruptcy laws are complicated and can be overwhelming. Don’t go through it alone. Contact the bankruptcy lawyers at TATE BYWATER Law to find out what is best for your situation.